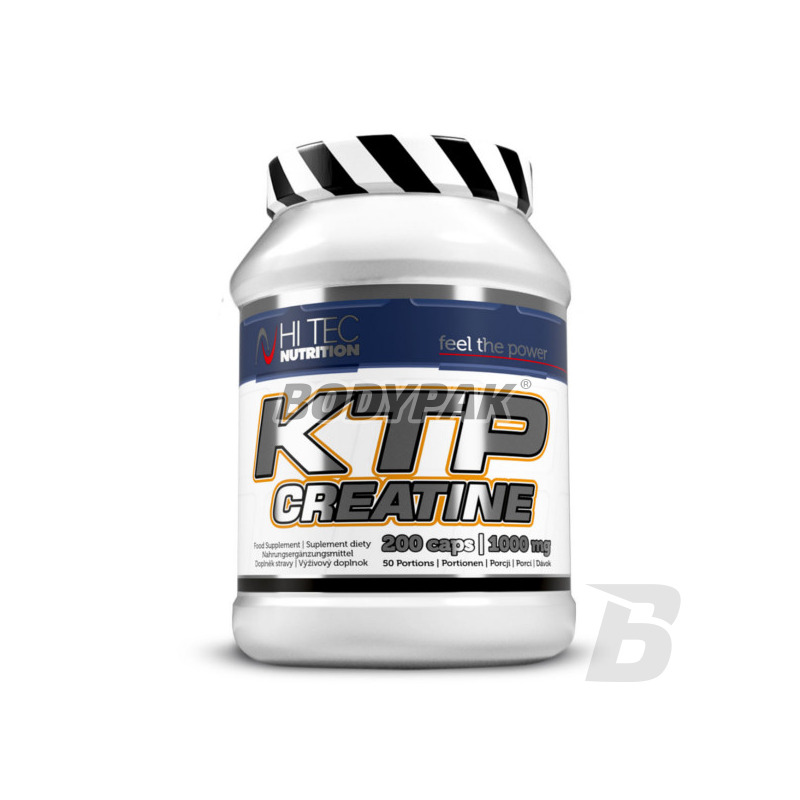 CreatineHi Tec KTP Creatine - 200 kaps. 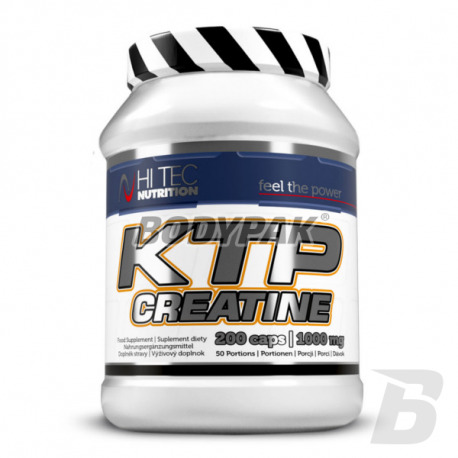 Hi Tec KTP Creatine - 200 kaps. Grade creatine monohydrate in easy to swallow gelatin capsules enriched with B vitamins, essential for the proper course of metabolic processes during vigorous physical exercise. 62 loyalty points Your cart will total 62 points that can be converted into a voucher of 2,48 PLN. Hi Tec KTP Creatine - 400 kaps. Hi Tec KTP Creatine is the highest quality creatine monohydrate in easy to swallow gelatin capsules enriched with B vitamins, essential for the proper course of metabolic processes during vigorous physical exercise. Creatine fully in the cells of the body's role very important conveyor of energy consumed, among others, for muscle contraction, biosynthesis of important macromolecules: proteins, muscle glycogen. Creatine significantly enhances the strength of muscle contraction, increases the hydration of muscle cells, helps the body adapt to physical activity and intensifies anabolic processes in muscle tissue. Creatine also has a strong anti-catabolic muscle and neutralizes acidity. The use of KTP Creatine is essential for practicing strength (weightlifting, powerlifting, bodybuilding) and speed-strength (sprints). Ingredients: creatine monohydrate (85%), nicotinamide (niacin), pyridoxine hydrochloride (vitamin B6), cyanocobalamin (vitamin B12), magnesium stearate E572 (anticaking agent), gelatin, edible (capsule shell). Creatine Magna Power Creatine is a supplement that contains a patented independent scientific laboratory cooperating with the brand Olympus magnesium creatine chelate, most technologically advanced form of creatine, which is one of the most effective anabolic agents. Sensational creatine malate in powder form. It intensifies the anabolic process ensuring maximum gains in muscle mass and physical strength! Bet on the quality of the world and enjoy the results! Malate Creatine is a combination of creatine malate molecule. Jabłaczan as a metabolite of glucose in the group hydroxy carboxylic stimulates insulin and greatly assist transport and retrieval of creatine. Olimp Creatine 1250 Mega Caps - 120 kaps. BioTech Creatine PH-X - 90 kaps. High-quality buffered creatine in capsules. Even more chemically stable and effective! Provides rapid gains in muscle mass!